Acrylic is a thermoplastic, which means it can be softened with heat and when cooled maintains its strength and retains its form. To produce a clean, even bend in an acrylic rod, you need to evenly heat the entire area of the rod. Although you can use a torch to heat the acrylic rod, one misstep and the rod will scorch, ruining the acrylic. A safer alternative to a torch is special heat tape that develops enough heat to soften the acrylic rod without a fire risk and little risk for damaging the material. Place the acrylic rod flat on the worktable. Unwind the heat tape, making sure that the tape sits flat with no twists or kinks in its length. Wrap the heat tape tightly to the surface of the rod, starting from the bottom of the acrylic rod and winding the heat tape to the rod's top edge. Turn the temperature controller setting dial to 220 degrees Fahrenheit, plug the wires from the heat tape into the corresponding ports on the temperature controller and turn on the controller. 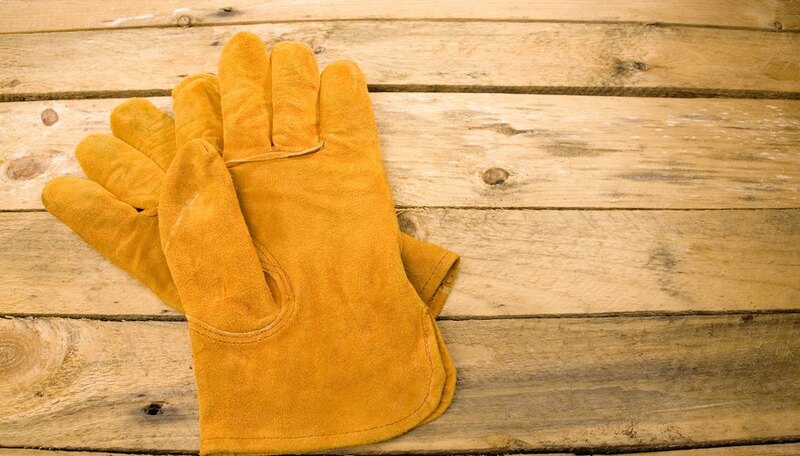 Put on your leather work gloves while you allow the acrylic rod to reach its softening temperature. Grab both ends of the acrylic rod; when the rod starts to bend, turn off the temperature controller and apply force with your gloved hands to bend the softened acrylic rod. Hold the bent acrylic rod in position for 30 seconds to 1 minute and then release pressure. The acrylic rod should maintain its position; if it does not, reapply pressure to the acrylic rod for an additional 1 to 2 minutes. Unwrap the heat tape from the bent acrylic rod and store the heat tape as described in the tape's instruction manual. Allow the acrylic rod to cool to room temperature before using the bent rod.